In all of this, let us have a heart of love toward others in maintaining balance. You don’t have to be angry or upset with anybody for having a different view. You are free. A life of balance sets us free—free to follow Him and to love one another. If this booklet has been a blessing to you, I would really like to hear from you. You may write to Gospel for Asia, 1116 St. Thomas Way, Wills Point, TX 75169. © 2017 by KP Yohannan, the president and founder of Gospel for Asia. It was written with the intention of encouraging and edifying the Body of Christ. To learn more about Gospel for Asia or to receive additional free resources, visit Gospel for Asia’s website. This entry was posted in A Life of Balance and tagged balance, Bible, Christianity, Discipleship, Dr. KP Yohannan, encouragement, gfa, Gospel for Asia, K.P. Yohannan, KP Yohannan, life on February 24, 2011 by gfaseo. To be honest, I am sometimes critical of people who live to gather more information and knowledge but don’t do much with what they know, especially when it comes to world evangelism. But this attitude is not always right. God used Ralph Winter and the information he obtained to bring to the church’s attention the concept of unreached people groups. God used Luis Bush and his information to bring forth the concept of the 10/40 Window. One of the things that troubles me the most is the fact that today—right now—we have more information than ever before about every possible aspect of the Christian life and missions. From knowing the Lord and living for Him, to raising godly children and our responsibilities as followers of Christ, you can walk into a Christian bookstore and choose from several hundred books. You can find more information and resources in our world today than at any other time in history. Yet despite this fact, one-half of the world still waits to hear the Gospel! We have all kinds of information on every country and people group, especially through books like Operation World,1 more than we could ever imagine! But still, the tragedy is that with all this information, more than 96 percent of all the resources and personnel out there are used to meet our own wants. We forget the more than 2.7 billion people who still need to hear the Good News! There is such a tremendous imbalance between what we know and what we do. I once heard it said that there are over 1,000 commentaries on the book of Acts in the English language alone. But how many churches are there that really resemble the early church model found in the book of Acts? In other words, we are so fed with information, and our “spiritual knowledge” is so blown out of proportion, that we can hardly stand or walk. It’s easier to just take one side and say, “What is the use of all this information? All the information in the world will not reach one single person.” But the truth is, we need information. We need the U.S. Center for World Missions. We need AD 2000 and Beyond. We need the Joshua Project and Global Mapping. Some are called to generate information, and some are called to get out there on the mission field. Personally, I want to be one of those on the field. But I thank God for those who are generating the information, too. The people on the information side of things discover unreached people groups. Now we have hundreds of unreached people groups identified so that we can plant churches there. Thank God that we can do something with the information. This is the beauty of balance, the Body of Christ working together. One of the greatest challenges for us today is to be not only hearers of the Word, but to become doers of the Word. This issue is even more serious when it comes to our responsibility to world evangelism. What we need to do individually, in our personal lives right where we live and serve, is to go out of our way to find opportunities in which we can be involved in reaching the lost world. Whether it is through prayer, sharing or going—whatever way the Lord shows us, each of us must take responsibility and do everything we can to get the job done. Information without action is like shooting blanks. You know exactly how to load, aim and pull the trigger, but there is nothing effective in it. Information without action is like a pilot flying missions in a cockpit simulator without ever getting into a real plane. Our problem today in missions is there are too many spectators who know all about how things are supposed to be done and too few who are actually daily living it. It’s like a football game; there are thousands of football fans who know all about the game but only a handful of players actually sweating it out on the field. We must cultivate a balance between information and action in our daily lives. 1 Patrick Johnstone and Jason Mandryk, Operation World (Waynesboro, GA: Paternoster Publishing, 2001). 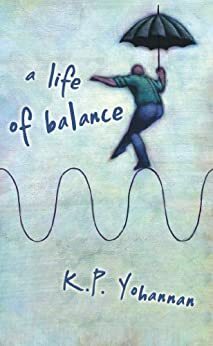 This entry was posted in A Life of Balance and tagged balance, Discipleship, Dr. KP Yohannan, encouragement, gfa, Gospel for Asia, K.P. Yohannan, KP Yohannan, life on February 22, 2011 by gfaseo. In the midst of the enormous vision for world evangelization, we need to keep a balance between commitment to our vision and commitment to individuals. We must always see the big picture—like the 2.7 billion unreached people in our generation. But at the same time, we must not lose sight of the individuals the Lord has placed around us. God never forgot the individual. He saw Noah, Abraham, Hannah and David, knowing each by name. We humans are so easily moved by large numbers and the majority. We see this in the ways of the world—so political that one individual is easily disregarded, sent to the slaughterhouse for the sake of some kind of gain. But God does not operate this way. In the parable of the lost sheep found in Luke 15, Jesus talked about the importance of one in the midst of a multitude. He spoke of a man with 100 sheep, who, when discovering one little lamb was lost, left the entire fold to search for the one. The shepherd did not say, “Oh well, I’ve got 99 left. Let the one go. It’s okay.” No. He left the 99 to pursue the one lost, searching until he found it. Then he carried that one that strayed home on his shoulders, rejoicing. The Lord said, “I tell you that in the same way there will be more rejoicing in heaven over one sinner who repents than over ninety-nine righteous persons who do not need to repent” (Luke 15:7, NIV). The heavens rejoice when just one person finds his way to the Father’s love. When I was 16 years old, I was part of a mission organization involving some 450-plus people. Even though I couldn’t speak English fluently and was not very qualified, someone saw me as an individual made by God, with potential from Him. If that person had looked only at the entire movement and the big vision God gave, they could have said, “You don’t qualify. There’s no way to fit you into our system,” and passed me by. But somebody was willing to see me, the little individual, in the multitude of people. The same thing happened in Genesis 16. Here we see the Father’s heart for the individual through the story of Hagar, a woman alone and crying out in desperation. Even though Hagar was just an Egyptian maidservant and not a part of the house of Israel, God came down solely to minister to this woman and give her a promise. Jesus said, “He who has seen Me has seen the Father” (John 14:9). Looking at the way Christ dealt with individuals helps us understand how much He cares about each one of us. Jesus looked for the one man Matthew, a tax collector whom nobody loved or cared for. He sought after one Nicodemus, one Zaccheus, one Samaritan woman, one woman caught in sin, one sick man lying by the pool for 38 years, one blind beggar. This is the nature of the Lord Jesus Christ. Yet He who spoke to and cared for the individual did not disregard the multitudes. “When [Jesus] saw the multitudes, He was moved with compassion for them, because they were weary and scattered, like sheep having no shepherd” (Matthew 9:36). He cared for millions, while at the same time caring for the individual, finding time even for a handful of little children. We must see the world, “for God so loved the world” (John 3:16). This verse shows us a glimpse of the Father’s love and knowledge, His care and concern for every human being—that means the approximately 6 billion people living on planet Earth at this time in history. At the same time, that statement includes one individual like you and me. In the book of Psalms, the writer says, “As for me, I am poor and needy, but the Lord is thinking about me right now” (Psalm 40:17, NLT). I heard an amazing incident that took place during the Special Olympics years ago. Nine physically and mentally handicapped children lined up for the 100-meter dash in which the participants trained for months. Finally, the big event was at hand. Everyone readied for the race to begin. At the sound of the gun, they darted off. A few moments into the race, one boy stumbled, fell to his knees and began to cry. Sitting there on the track, he looked up to see everyone else running ahead of him to the finish line. Along with the pain in his knees was the pain from everything he had worked so hard for—gone in one fall. The boy’s cries filled the track area. The spectators in the stands heard it, as did the other runners competing. Then the most beautiful thing happened. All the other runners stopped their racing and ran back to the injured boy, helping to lift the fallen one. And together, all nine children linked arms and went toward the finish line. Of course, all those who watched cried and cheered and clapped. But the question must be asked, will we do the same for someone who fails or needs a helping hand? It may be in the way of writing a letter or making a telephone call. It may be saying a word of encouragement to lift them up in their time of discouragement. It simply could be giving some money or material things in a time of need. Sometimes it is simply saying nothing but just listening. Whatever it may be, remember, this is how the Lord treats us. May we, in our following Him and fulfilling what He called us to do—being very busy and doing His work—not overlook the individuals who may need our attention or our help. Jesus said, “Assuredly, I say to you, inasmuch as you did it to one of the least of these My brethren, you did it to Me” (Matthew 25:40). Jesus also told us we must do unto others what we would want others to do for us. Surely you and I do not want to be forgotten or ignored. Let us be Christlike in our response to all people. Everyone the Lord places in our lives, everywhere, at any time, is important. My hope is that while maintaining vision and running toward the finish line, we will not trample over the individual. We must never let a world vision blind us from seeing the people working right alongside us who need attention, care, love, affection and understanding. This entry was posted in A Life of Balance and tagged balance, Bible, Christianity, Discipleship, Dr. KP Yohannan, encouragement, gfa, Gospel for Asia, K.P. Yohannan, KP Yohannan, life on February 17, 2011 by gfaseo. The balance between sound doctrine and love is imperative. Doctrine is important, and the Word will always be our final authority, keeping us on course; but love must always remain our means of travel. There are those who say that all we have to be concerned about is full-fledged ecumenism among all churches and denominations, regardless of what they believe or do not believe. Keep in mind, however, that the apostle Paul spent half of his life defending the faith that he preached because of the apostasy that began to creep in and destroy so many churches. As you read the writings of Paul, you will see that he was a man aching with such a burden for the purity of the faith and the truth of the Word of God. Church history clearly shows that when the Word of God is not taught and commitment to doctrinal purity is not maintained, the Church enters into a dark age. Examples of this are found throughout the centuries. Had it not been for Martin Luther, who in the sixteenth century stood up to defend the purity of doctrines, risking his very own life, the Church might have remained in utter darkness. The Reformation, which was the fruit of his life, took place because of the preaching and defending of God’s Word. Even today, all over the world, the Church at large is once again moving toward another dark period due to the liberalism being taught and perpetuated in great numbers in many theological institutions. Not giving heed to sound doctrine will lead to syncretism and pluralism. And these have become some of the most serious, destructive forces throughout the church today. Paul warned Timothy to take care of the sound doctrine he received, while at the same time continuing in the grace and love of Christ. In his letters to Timothy we read Paul’s exhortations concerning this balance: “Hold fast the pattern of sound words which you have heard from me, in faith and love which are in Christ Jesus” (2 Timothy 1:13). “O Timothy! Guard what was committed to your trust, avoiding the profane and idle babblings and contradictions of what is falsely called knowledge—by professing it some have strayed concerning the faith” (1 Timothy 6:20–21). “Be strong in the grace that is in Christ Jesus. And the things that you have heard from me among many witnesses, commit these to faithful men who will be able to teach others also” (2 Timothy 2:1–2). Another example of this balance to be kept is found in Revelation 2:2–5, a passage in which Christ speaks to the church at Ephesus. These believers had pure doctrine and were extremely fundamental in their faith. Yet the Lord said that He would put out their light because of their lack of love. Love must be the root and foundation of all that we do in our service for the Lord. Let us not forget the exhortation in 1 Corinthians 13—“Though I speak with the tongues of men and of angels, but have not love, I have become sounding brass or a clanging cymbal. And though I have the gift of prophecy, and understand all mysteries and all knowledge, and though I have all faith, so that I could remove mountains, but have not love, I am nothing. And though I bestow all my goods to feed the poor, and though I give my body to be burned, but have not love, it profits me nothing. Love never fails. But whether there are prophecies, they will fail; whether there are tongues, they will cease; whether there is knowledge, it will vanish away. Now abide faith, hope, love, these three; but the greatest of these is love” (1 Corinthians 13:1–3, 8, 13, emphasis added). Without love, all means nothing. The Church is called to evangelize the world and to call all men to become part of the Body of Christ. But this purpose can only be carried out as we walk in love. In John 13:34–35, Jesus said to His disciples, “A new command I give you: Love one another. As I have loved you, so you must love one another. By this all men will know that you are my disciples, if you love one another” (NIV). In his classic book Love Covers,1 Paul Billheimer says the biggest hindrance for the world to come to know the Lord Jesus Christ is the sin of unloving attitudes and division in the Body of Christ. I fully agree. We must be very careful not to make rigid boxes of “our doctrine” and try to squeeze people into them. People have asked me, “Was Mother Teresa a Christian? Is she in heaven?” By some people’s denominational teachings, Mother Teresa is not in heaven. Based on what some churches believe today, many people who headed the Reformation—bringing enlightenment to the entire Christian world—will go to hell because they didn’t fit in with “sound” doctrine. Satan knows that a house divided against itself cannot stand (see Mark 3:25, NIV). And so he cunningly seeks to divide the Body of the Lord Jesus Christ on many minor issues. Particular subjects that create disunity include specific views on the Holy Spirit, Calvinism, Armenians, translations of the Bible, the second coming of Christ, and many others. I am convinced that the thousands of divisions in the Body of Christ today have very little to do with doctrine. The majority is based on the overemphasis of minor issues and traditions. Once we start investigating, it is amazing how few differences there actually are in fundamental doctrines among most churches. Yet there is such an unloving attitude and division at large. Please remember: God is much more concerned about our heart than our head. I have met people who are a little “off” in some doctrines that I consider important. But they are still people deeply devoted to the Lord, knowing Him intimately. How do we explain all this? I am not sure. I don’t have all the answers. But one thing is certain: The Pharisees, who knew all the answers and had “sound doctrine,” are the ones who crucified Christ. Let us keep in mind that the most important evidence of those who follow the Lord Jesus Christ is not seen in their commitment to fundamental doctrines, but in their life of love. The world will know we are Christians by our love, not by our doctrines. When love is absent, doctrines have no use. Truth without love is a lie. We must maintain a balance. 1 Paul Billheimer, Love Covers (Fort Washington, PA: Christian Literature Crusade, 1980). This entry was posted in A Life of Balance and tagged balance, Bible, Christianity, Discipleship, Dr. KP Yohannan, gfa, Gospel for Asia, K.P. Yohannan, KP Yohannan, life on February 15, 2011 by gfaseo. When you read about Paul, Peter, Philip and others in the book of Acts, you see how their lives were marked by passion. They were full of zeal, enthusiasm and excitement, red-hot in following the Lord. Nothing could stop them. I believe the Lord desires for us to be the same way today. Even Jesus had a direct purpose and a goal. He pressed onward toward Jerusalem with an iron will, focused on what His Father required of Him. And so must we—but not at the expense of wisdom. As somebody once said, “We can become so heavenly minded that we are of no earthly good.” We need to be wise in our zeal. Sometimes we need to slow down, be sensitive and listen. In all His zeal, Jesus still took time to simply listen to the woman at the well and play with the children. One time when I came home from the office, Gisela was crying about something going on at the house. I don’t remember exactly what it was that was bothering her. I automatically started quoting Bible verses and preaching to her, thinking that was what she needed to hear. She stopped me in mid-sentence, saying, “Can you please stop? I can preach all those sermons and quote all those Bible verses too. I just want you to listen.” In my enthusiasm and zeal, I had completely missed what she needed. There was no wisdom in that. There are many different ways that zeal without wisdom can manifest. Numerous times, women have come to me asking for prayer for their unsaved husband. They explain the strife and incredible pain they live with, telling me all the ways they have tried to convert their loved one, but to no avail. Often, this zeal takes a turn, and soon the wife starts criticizing, putting down and pointing out all the husband’s wrong ways. In turn, the husband is driven even further from the Gospel than he was before. And further from his wife. Zeal to see a loved one come to know the Lord is good. The Bible shows us the wise way to handle this zeal—and it never mentions to argue and fight or tell the whole world how bad someone may be. Rather, in meekness and gentleness, we are to live a godly life before that person. This becomes the means for someone to come to know the Lord (see 1 Peter 3:1–7). How often we end up losing precious friends and bringing such disunity in our fellowship or in our home by handling the truth without wisdom. So I listened . . . and listened . . . and listened. I said, “Wonderful, I am so glad you have been to this place.” And then I said, “May I have your business card so I can contact you again?” Then I gave him my book Revolution in World Missions1 and said, “When you have finished reading it, would you give me a call?” He said he would. Ten years ago, I would have acted differently. I would have said, “You think you know this and that! Well, let me tell you, you are wrong. It’s really like this . . .” But this is not how the Lord would have responded. We need to make a conscious effort to be sensitive to one another in this way. We need to keep our zeal and walk in wisdom at the same time. Wisdom is knowing how to properly handle the information and knowledge we have, especially when it comes to relationships. And the Word of God tells us we receive wisdom by having the fear of the Lord. That simply means a close relationship with the Lord, seeking His face and living in obedience. This brings wisdom to our hearts. 1 K.P. Yohannan, Revolution in World Missions (Carrollton, TX: gfa Books, 1986). This entry was posted in A Life of Balance and tagged balance, Bible, Christianity, Dr. KP Yohannan, encouragement, gfa, Gospel for Asia, K.P. Yohannan, KP Yohannan, life on February 10, 2011 by gfaseo. This entry was posted in A Life of Balance and tagged balance, Bible, Christianity, Discipleship, Dr. KP Yohannan, encouragement, gfa, Gospel for Asia, K.P. Yohannan, KP Yohannan, life on February 8, 2011 by gfaseo. Setting good habits for ourselves and being disciplined in our lives are good. But it is not good to become a slave to that sort of disciplined life. The Pharisees were very disciplined people. They fasted. They prayed regularly. They studied the Scriptures. And they were also bound by their traditions and discipline. The same thing can happen to us Christians today. “It is for freedom that Christ has set us free” (Galatians 5:1, NIV). There needs to be a balance between discipline and freedom. Some of the unhappiest people I have ever met in my life are those who are militant about everything in their lives. They must always have things together, always be on time, perfect in every way. These perfectionists make their own lives miserable, as well as everyone else with whom they come in contact. These people are controlled, not by grace and freedom, but by legalism. Someone once said, “Nothing will keep a Christian more immature than trying to keep a list.” Having a disciplined life is important—very important—especially in the areas of personal discipline (such as prayer life, time management, systematic study of the Bible). Yet some people become so paranoid about doing all these things with a legalistic mindset that they actually become slaves of these disciplines. They first embraced them because they believed the discipline would bring freedom to their lives. But now they are enslaved by them, and their daily life is one big burden of endless striving. And it doesn’t end with themselves either. People who live like this will often use their own standards to judge others. They constantly become critical and judgmental toward their spouses, children and fellow workers. These kinds of people are absolutely miserable to live with. In his book He Still Moves Stones, Max Lucado states, “Legalism: Turns my opinion into your burden. . . . Turns my opinion into your boundary. . . . Turns my opinion into your obligation.”1 There needs to be a balance in the way we handle our own life of discipline and how we respond to others. In Romans 14 we find the instruction about giving freedom and grace to others—living by the law of love, not of discipline. When we become judgmental and critical toward the people around us, we make their lives hard and difficult. Romans 14:13 says, “Therefore let us not judge one another anymore, but rather resolve this, not to put a stumbling block or a cause to fall in our brother’s way.” It is good to have a disciplined life and make personal demands on ourselves. But at the same time, we must show grace and mercy toward others who may not be like us or who disagree with us, and bear with one another in love and humility. In Romans 7, Paul talks about the incredible struggle in his own life to find victory and peace through “rigid discipline.” These demands only made him more miserable and wretched as he kept striving to be perfect. The truth of the matter is this: Although we must do our part, we also must realize that if our part is all there is, then everything begins with us and ends with us. And the Scripture says, “Nothing good dwells in me” (Romans 7:18, NASB). My encouragement to you is this: Be disciplined, absolutely. You must be. Yet don’t let that become your master and your god. Don’t become militant about organizing your every minute. Don’t try so hard to save time that you forget to live. Don’t become so scheduled that you demand from yourself and everybody else a perfectly structured life. There is no joy, no freedom, in that kind of living. Ask God to order your time. If you are in the middle of a scheduled prayer time and someone knocks on the door, don’t automatically ignore the knock. Ask God. Maybe He has sent this person to pray for you or maybe this person needs your comfort. Don’t be undisciplined, but at the same time rest in the assurance that “the steps of a good man are ordered by the LORD” (Psalm 37:23). 1 Max Lucado, He Still Moves Stones (Dallas: Word Publishing, 1993), p. 120. Used by permission. This entry was posted in A Life of Balance and tagged balance, Bible, Christianity, Discipleship, Dr. KP Yohannan, encouragement, gfa, Gospel for Asia, K.P. Yohannan, KP Yohannan, life on February 3, 2011 by gfaseo. Click on the image to download your free copy of this book. This is a subject with incredible, potential problems and difficulties. The Bible teaches very strongly about obeying authorities over us. The entire kingdom of God is meant to function in an orderly manner under God’s plan of authority. But there is an extreme teaching on submission to leaders in authority, wives to husbands, children to parents, and political or religious leaders to others that can be dangerous, unless we balance it with the fact that each individual must know that he is also responsible to God, His law and His Word. The balance must be kept between submission and individual guidance. Romans 13:1–2 (NIV) says, “Everyone must submit himself to the governing authorities, for there is no authority except that which God has established. The authorities that exist have been established by God. Consequently, he who rebels against authority is rebelling against what God has instituted.” First Thessalonians 5:12 (NIV) says, “Now we ask you, brothers, to respect those who work hard among you, who are over you in the LORD and who admonish you.” Clearly God’s plan is that we live in submission to God-given authority. Watchman Nee, in his book Spiritual Authority1, specifically states that in Scripture, rebellion, either passive or active, is sin. Pay attention. Lucifer became a devil. He was not created a devil. In fact, he began as the most amazing, beautiful archangel, the highest of all angels created by God. But he became the devil as a result of rebellion and insubordination. His pride led him to step out from under God’s authority and set himself up as ruler. Korah destroyed himself and many others by not following God’s plan of authority and recognizing Moses as God’s leader (see Numbers 16). Saul sinned by not waiting for Samuel, the prophet with God-given authority, to conduct the sacrifice (see 1 Samuel 13). Gehazi did not follow the leading of his master, Elisha. He accepted gifts for the healing of Naaman’s leprosy and, as a consequence, became a leper himself (see 2 Kings 5). God’s order in the family is for the husband to be the leader, for the wife to submit and follow him, and for the children to follow the parents. The Bible is filled with this teaching (see Ephesians 5–6). But in this teaching there also needs to be balance. Look at the lives of Daniel and Esther. Each had to stand for God in a situation in which there were leaders in authority over them. Daniel was thrown to the lions for his refusal to obey the king’s decree. Esther had to approach the king uninvited, an action that could have led to her death, in order to plead for her people. Tens of thousands of lives have been destroyed through false teaching and extremism about submission. Some leaders can become unbalanced. I am not just talking about cults. In some congregations, there is a sort of “shepherding theology.” Under its teaching, people are told that they must consult their elders concerning what type of clothes they should wear, what house they should buy and where they should work. In the end, these people stop thinking for themselves and going to God for direction. Instead, they become like slaves, following the ideas of their leader rather than God, and their lives are destroyed. Look at Jesus, Paul, Peter and others in the New Testament. Not once did these men force anyone to submit to anything. They gave guidelines for holy living. They spelled out principles and lived by them. They preached and taught freedom—freedom from traditions, freedom from sin and freedom to live a godly life. They did not seek to control behaviors or thoughts. Submission is a choice people make to follow the Lord as their leaders follow the Lord. One of my regrets in this area of submission is how I acted toward my wife during the first two years of our married life. I was not sensitive to her at all. I was determined that I was going to be the leader and that she must obey everything. When something went wrong, she was the one to ask for forgiveness. I didn’t ask for forgiveness, of course, because I was the husband. That is what I saw when I was growing up, and that is how I thought things should be. Things went on like this for a couple of years. Then God heard Gisela’s prayers and opened my eyes, causing me to realize that she was not my slave. From then on, things changed. I began to think about my wife as a human being, considering her needs, emotions and feelings. I learned practical things, like how to change diapers, cook, wash clothes and clean house. These were not part of my household when I grew up. They were things I had never done before. But God was teaching me that being in authority is about being a servant. I became quick to repent and ask forgiveness when I was wrong. I realized I must care for Gisela and love her, like Christ loved the Church and cared for her. I must not misuse her. I must not take advantage of her. I must not order her around and control her, but love her. Love does not force people to do things a particular way. In any movement, any group, in each home—everywhere—God places leaders. But please understand: Jesus said, “Whoever wants to become great among you must be your servant, and whoever wants to be first must be slave of all. For even the Son of Man did not come to be served but to serve” (Mark 10:43–45, NIV). Jesus led by example. We also must lead others through love, patience and example. We lead others through bearing with them in their suffering, not through beating them into obedience. 1 Watchman Nee, Spiritual Authority (Richmond, VA: Christian Fellowship, 1980). © 2003 by K.P. Yohannan, the president and founder of Gospel for Asia. It was written with the intention of encouraging and edifying the Body of Christ. To learn more about Gospel for Asia or to receive additional free resources, visit Gospel for Asia’s website. This entry was posted in A Life of Balance and tagged balance, gfa, Gospel for Asia, K.P. Yohannan, life on February 1, 2011 by gfaseo. Nothing is going to be accomplished for eternity without faith. Only that which is done by faith will last. It is impossible to please God without faith (see Hebrews 11:6). Faith is the foundation of everything. Salvation will never happen without faith. Sanctification will never happen without faith. Heaven will never be ours without faith. But we need to be careful not to embrace foolish steps of ungrounded “faith.” We need to keep a balance between faith and the common sense God has given us. The ministry of Gospel for Asia is a testimony to the power of faith in action. The Lord has done so many incredible things that we alone could have never made happen. What God promised to do, He will do. Faith is one of the subjects I like to talk about, because I see it working continually. Oftentimes, people forget that we cannot respond beyond the measure of faith we have received from the Lord. When we hear incredible stories of God’s dealings with other people, surely it encourages our hearts to believe God for greater things. But in all of this, we must guard against the tendency to exercise “faith” not in line with God’s purposes. We cannot decide on something “good” we want to have happen and then presume God will do it if we keep on praying. We must not fall into the “name-it-and-claim-it” trap. God’s definition of “good” is so much greater than ours. He has our spiritual well-being in His perspective. For a lot of people in Christendom, faith has become a magic wand that will do wonders to meet certain wishes and wants. This type of “faith” is totally self-centered, leaving no room for God’s glory or the extension of the Lord’s kingdom in someone’s life. Hebrews 11 shows those whom God considered people of faith; their lives were spent continually for the glory of God, and they paid the price with their life. When we read about David facing the giant Goliath and defeating him, and Abraham getting a son even though his natural body was incapable of producing such, and the wall of Jericho falling down, and about all the many incredible miracles recorded in the Gospels—the blind man seeing and the leper healed—we stand amazed to see how these individuals believed God and held onto His promises. We need to realize that the faith they had was not something they could cook up. Rather, it was based on what they heard and learned about the grace and the promises of the living God. We, too, are given the challenge and encouragement to believe and have faith for God to do wonders on our behalf. Let us be careful not to presume on God and take foolish steps, acting out of presumption. I pray for sick people often, and I see God heal and do miracles. I have seen people recover from illnesses for which there was no treatment. But does that mean I don’t take medicine? No. I have a friend who is a well-known preacher, whom God used to do outstanding miracles. I was an eyewitness to what happened. The blind saw. Totally deaf people heard, and mute people spoke. I was right there when these things happened. One day this pastor told me that he had developed a heart problem. Up to that point, he had experienced continual healing in his life, and he was scared to go to a doctor. But the Lord spoke to his heart and said, “If you don’t go to a doctor, you are going to die. If you go to a doctor and get treatment, you will live.” So he went to the hospital, had surgery and lived. I asked him why he thought this had happened. He told me that he believed the Lord wanted to show him that He heals through medicine and doctors. God wanted him to help other people see this, too, so that they were not led into blind faith. It is not God’s intent that people die because they refuse medical attention. My friend realized that the whole experience was God’s plan to help him understand the balance needed in this area. God is the author and finisher of our faith. Faith is something He gives us through His Word and in proportion to our readiness to receive it. We cannot generate our own faith through the flesh and positive thinking. We need to have understanding so we can discern these things. It is absolutely essential to keep a balance between faith and common sense so that we do not fall into counterfeit faith. This entry was posted in A Life of Balance and tagged balance, Bible, Christianity, Dr. KP Yohannan, encouragement, gfa, Gospel for Asia, K.P. Yohannan, KP Yohannan, life on January 27, 2011 by gfaseo.